We have had a few storms come through in the last couple weeks and the rain is much needed. The expansive soils are swelling with the extra moisture in the soils and the perimeter of the foundation on most homes is moving up somewhat. With the drought that we experienced for the last couple years, this rain may be allowing the foundation to return closer to where it should be. My question to you is: Will the house start moving up evenly or will some areas of your house move up more than other areas? There are a number of factors that may play into answering this question like: is the clay content of the soil the same on one side of your house as it is on the other side? Well, you are probably not going to get a geotechnical engineer out to your home to take soil samples in different locations and at different depths around your house. But there are a couple things you can look at yourself that may make a big difference. 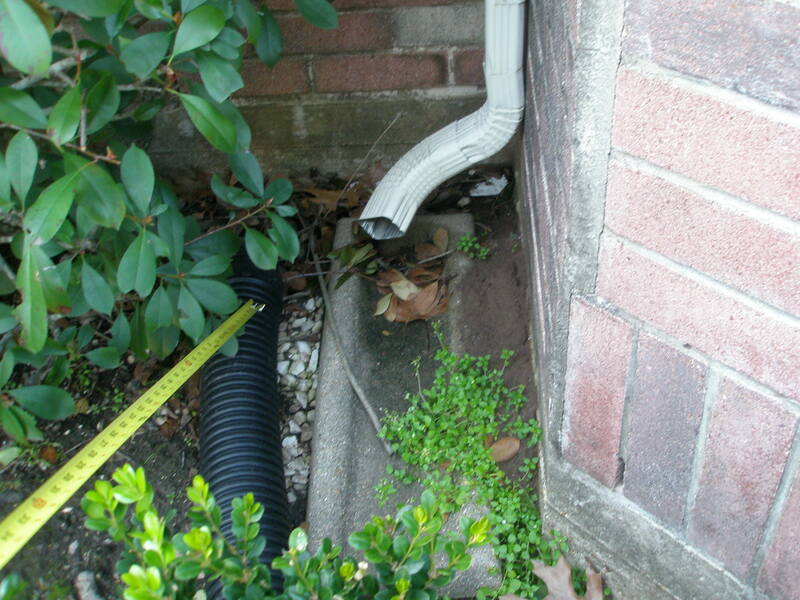 First, are there any low spots next to your foundation that is holding water and not draining away from your home? If you do, the more time water sits in a puddle and doesn’t drain away, the more water will penetrate into the soil and cause that soil to swell and expand. 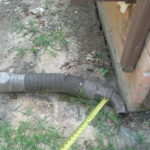 If you have some areas around your house that drains well and the soil doesn’t swell too much, and you have other areas that the water isn’t draining well and that soil expands more, you are likely to have differential movement of your foundation – one area of the foundation moving up more than another area. When the foundation doesn’t all move up or down at the same rate, you will start seeing the signs showing up in your house. Signs like doors and windows sticking, cracks in the sheetrock and tile, etc. The good news is that with a little work, you can reduce the occurrence of these problems and save yourself a lot of work repairing the damage. Just fill in the low areas, compact the soil, and slope the dirt so water will flow away from the house. Be careful that you don’t raise the dirt too high, you should have about 4 or 5 inches of slab exposure between the ground and the first course of brick or siding. Another problem might be when you don’t have any low spots but you have something impeding the flow of water away from your house. An example of this might be an air conditioning unit next to the house that might be blocking the flow of rain water. A flower bed could have been built up that also blocks water flow. A short length of pipe could route the water around or through the obstacle to solve the problem. 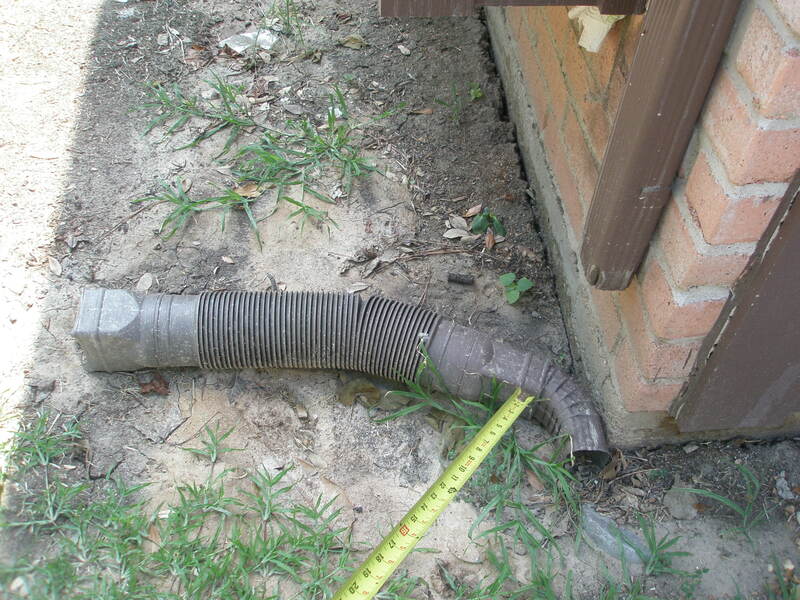 Extend downspout 5 feet from the slab. 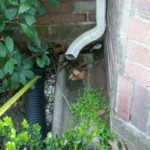 Gutter downspouts sometimes are a source of problems drainage. Gutter downspouts should be able to move the water about 5 feet away from the edge of the foundation. Many times I see a reverse slope near the downspouts and water is ponding in this area. Water is not sitting around most of the foundation but right where the downspouts are, the ground is very muddy and doesn’t dry out for days. Correcting this situation can keep your house from developing other problems that will have to be addressed at some point in time. I have learn some excellent stuff here. Definitely worth bookmarking for revisiting. I surprise how a lot effort you put to make this kind of fantastic informative site.